So, there's been this trend going around the photography forums where you take amazing portraits at Hobby Lobby. 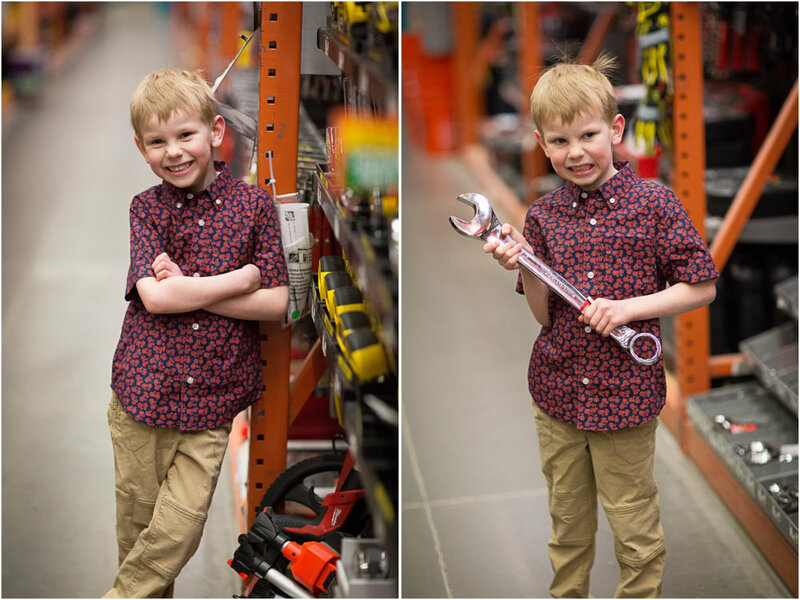 I loved the idea but we thought it was a little too girly for our boy, so we headed to one of his favorite places, The Home Depot for our photo session. I often pose people in front of neat textures, but the entire space isn't so pretty, so it was super fun to challenge myself to use Home Depot as our venue. I didn't want to disturb the peace in the store so I had the added challenge of using just one lens (my trusty 85mm) and available light only. Hani the Intern had a blast! We had to take a few that showed a sense of place, since The Home Depot does reflect H's personality a lot! Getting tired of our photo session, and wanting to go look at the hammers. He thought it would be super cool if he posed with this dowel. 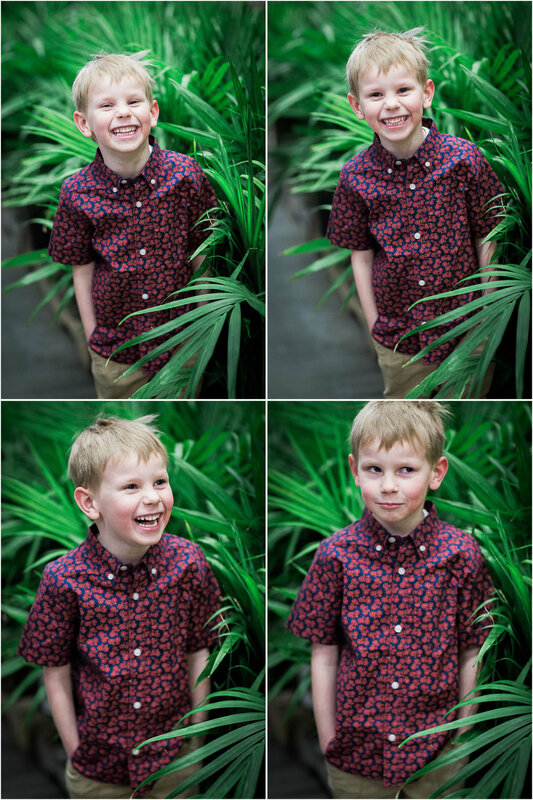 And here are a few behind the scenes shots to show what we were working with! That's it! There ya go, just proves that you don't need big beautiful spaces to create beautiful images, they can be created anywhere!